Woodburner on a roof wood burning stove installation from Kernow Fires. Customer Requirements: A modern outdoor fire on the roof making sure it's placement does not affect the working of the wood burner in the holiday home itself. This Harri Lender Pahros outdoor fireplace is super modern and very cool. As you can see Jack was quite pleased with the finished job. 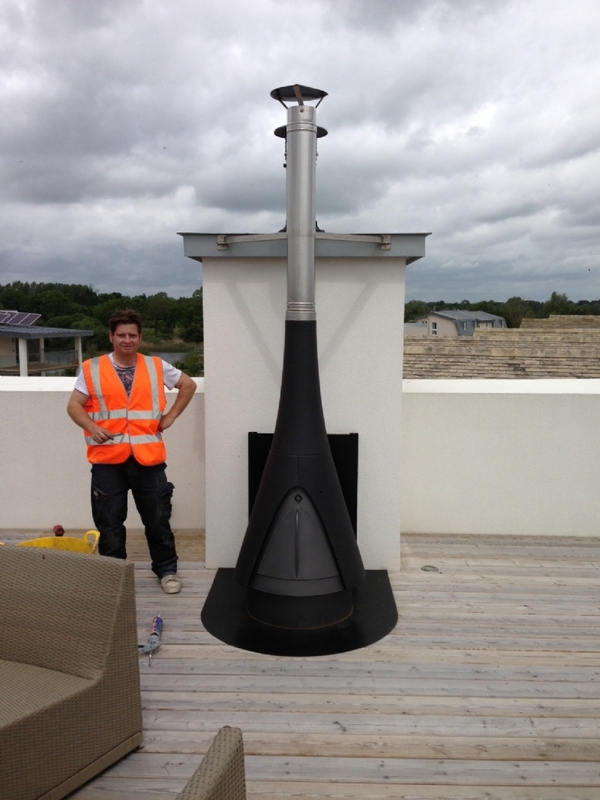 The flue comes up in line with the internal wood burners flue and is finished to match .